Eating tree nuts appears to help lower and stabilize blood sugar levels in people with Type 2 diabetes compared to those on a control diet, according to a study done at St. Michael’s Hospital in Toronto and published July 30th 2014 in the online journal PLOS ONE. 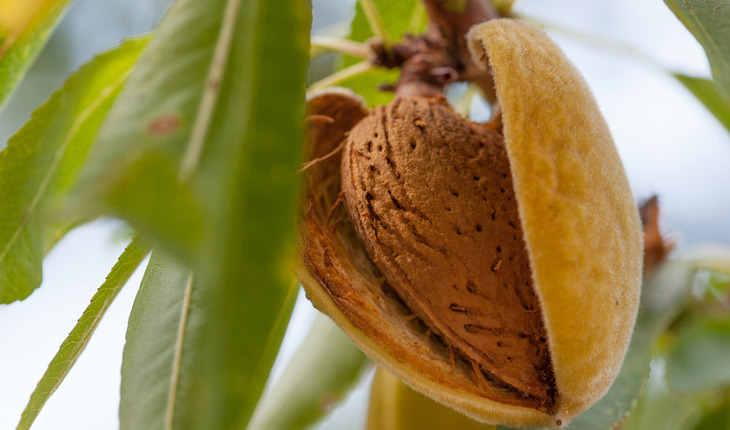 Tree nuts include almonds, Brazil nuts, cashews, chestnuts, coconuts, hazelnuts, pecans, macadamia nuts, walnuts, pine nuts and pistachios. They do not include peanuts, which are legumes. A release from the hospital explains that a systematic the evidence from 12 clinical trials in 450 participants found that eating about two servings a day of tree nuts improved the two key markers of blood sugar: the HbA1c test, which measures blood sugar levels over three months, and the fasting glucose test, where patients are not allowed to eat or drink anything but water for eight hours before their blood glucose levels are tested. The best results were seen when tree nuts replaced refined carbohydrates rather than saturated fats, said Dr. John Sievenpiper, a physician and researcher in the Clinical Nutrition and Risk Factor Modification Centre of St. Michael’s Hospital. Dr. Sievenpiper said participants in the clinical trials reviewed ate 56 grams of tree nuts a day. One serving of tree nuts is about ¼ cup or 30 grams. He said that people in North America consume on average less than one serving a day, so this is one way they can adapt their diets to take advantage of the metabolic benefits. Dr. Sievenpiper said that while nuts are high in fat, it’s healthy unsaturated fat and while they can also be high in calories, participants in the clinical trials did not gain weight. “Tree nuts are another way people can maintain healthy blood sugar levels in the context of a healthy dietary pattern,” he said.